Our campus is a community center for many in our little corner of southwest Austin. We are the oldest Meals on Wheels delivery site in Austin. People gather together to become healthier in mind, body and spirit, through Jazzercise, OverEaters Anonymous, Greysheeters, and a Pain Support Group. 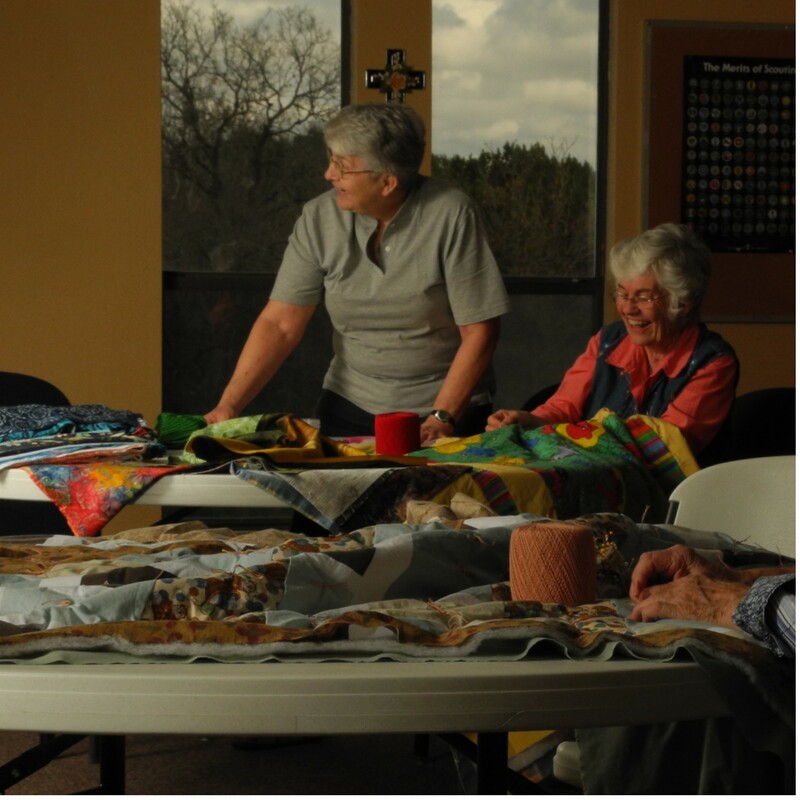 We nurture creativity with our community partners Austin Fiber Artists. We encourage young people in leadership by hosting Girl Scout Troops, and we are hoping to charter a Boy Scout Troop in the future. We also share space with the PanAm Seventh Day Adventist Church on Saturdays. Our annual Fall Folly is a fun, neighborhood celebration with folks of all ages. Our campus becomes a fair ground with a petting zoo, bounce house, games, face-painting, a visit from the fire-truck, food and a silent auction. Join us on the last Saturday in October from 10am to 2pm. 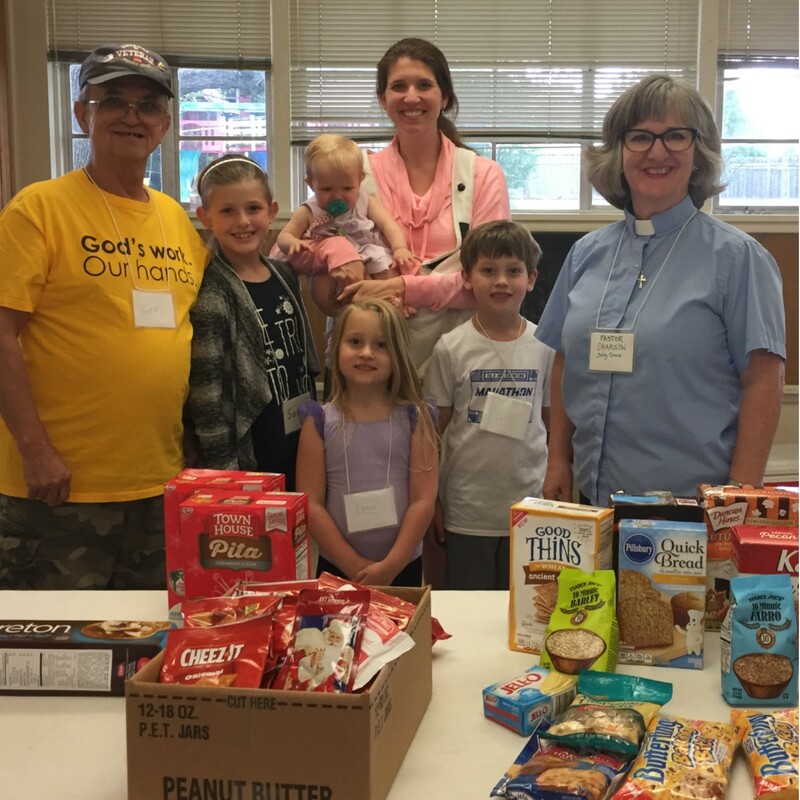 We are partners, through Austin City Lutherans, with "Bread for All" food pantry, offering food to hungry folks every Monday from 6pm to 7:30pm with Faith Presbyterian at 1314 E Oltorf St. You will find the Holy Cross volunteers there every second Monday. Holy Cross folks walk in the Austin PRIDE parade every August, either on our own or with our fellow Reconciling in Christ ELCA congregations in central Texas. The second Sunday in September is "God's Work Our Hands"...a movement throughout the whole Evangelical Lutheran Church in America. We listen to needs in our neighborhood and city, and go out to partner with others in building a more vibrant community together. 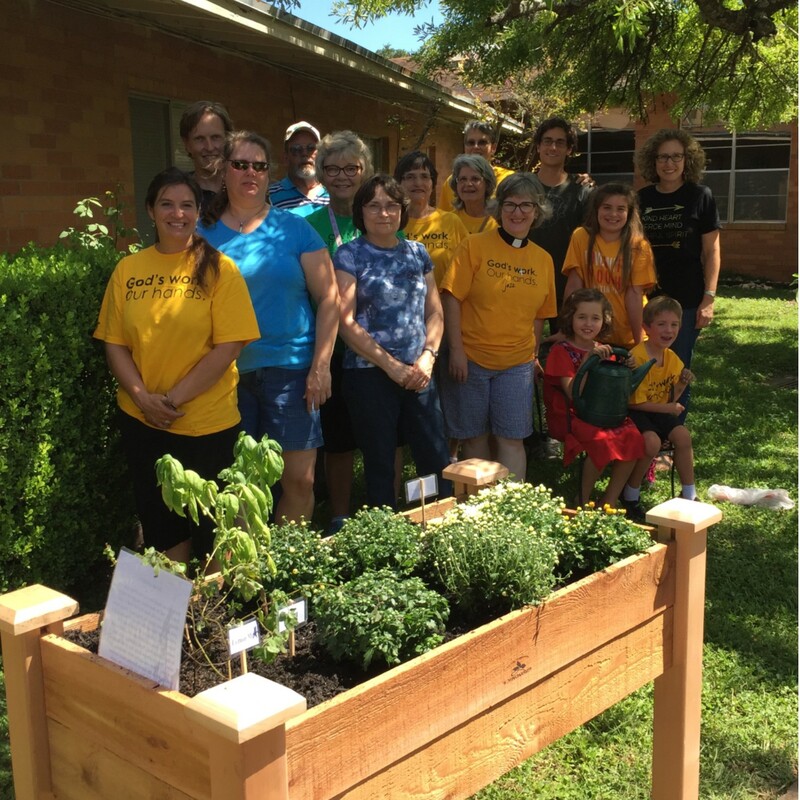 Some of our projects have been planting a wheel-chair accessible garden bed at the neighboring nursing home, Monte Siesta and Violet Crown Trail clean-up. Every Wednesday, you will find a dedicated group of folks sewing quilts and packing school, baby, personal and sewing kits to be sent around the world through Lutheran World Relief. Together this group generates almost a ton of quilts and kits to helps folks around the globe EACH YEAR! We have received word our most recent kits and quilts have been sent to Honduras, Georgia, Angola, Thailand, Pakistan, Mali and Burkina Faso to meet unique needs in those countries. In response to the late summer and early fall natural disasters, hurricanes, earthquakes, and wildfires, we encourage folks to contribute to Lutheran Disaster Relief. In giving, 100% of your gift goes to relief efforts and frequently they are the first ones in and last ones out.